Many are learning to master the law of attraction since this curious knowledge has come to the forefront. Going after your dreams is easier than ever. However, there are techniques that must be understood in order to attain lasting success. Successful manifestation requires clear visualization, and you can become adept at using visualization techniques with practice. Take it from Jim Carrey, who can’t say enough about the subject! Perhaps you had mixed results so far. It’s common when starting out… and it’s quite possible you’re lacking powerful visualization techniques. Below I’ll address common problems with visualizing, and methods for clearing the mind and creating mental images. I’ll talk about using visualization techniques that will bring you great success. Where were you going wrong? There can be other issues, so dig deep to uncover your blocks. Whichever these may be, it helps to look at the way you’re using visualization techniques. Do you find it difficult to retain mental images or memories? Is it hard to recall your dreams or imagine yourself in future scenarios? Do you have hazy memories? Then you may have issues with visualizing. Dream recall comes easier to some than it does to others; some even experience lucid dreams regularly. But if you can recall snippets of your dreams after waking, you can visualize. Most people generate images from the past easily, as the physical eyes transmitted the original images. Your mind is reconstructing a scene, but you don’t always form completely clear images. Interestingly, the more emotion is associated with a memory, the more likely you are to recall it. Imagination is a key player when using visualization techniques. You do it every day – every thought of the future is imagination! Have you ever daydreamed? Then you may have manifested positive and negative situations without realizing. Try to start with a blank mental slate. Your previous techniques may have left a lot to be desired… but it’s time to practice some new ones. Be committed to the process, and to regular practice. This leads to consistency, which is imperative. Your aim is to improve focus and clarity, as well as dream and memory recall. Grab a selection of images, study them for a while and then place them face down. Wait five minutes, then make notes. Check to see how many details you accurately recalled. Repeat this regularly until memory recall improves. You don’t even need to collect images – you can do this any time by looking around then closing your eyes. Keeping a dream diary is another memory training method. The more you recall dreams, the more mental clarity you’ll cultivate. You’ll also learn a lot about yourself and what’s buried in your subconscious. When you recall dreams, inner vision fires up. Grab your pen on waking and note down as many details as you can remember. That includes symbols, emotions and insights. Before long you’ll find it easy. Vision boards help you focus on your goals, actively imagining them as manifest. Collect images that represent your goals, print and pin them to a board. Otherwise, make a vision board on your computer. Remember to put manifestation dates on the images (e.g. ‘by October 2018’). Look at it regularly, imagining the images as your current life. Allow the corresponding emotions to flow. It doesn’t matter how big or small the goals are! Play around with it. Using this visualization technique, you’ll achieve strong mental focus. You’re actually meditating on an object. Meditating is a great idea, as you make space in your mind. Meditate on a simple image like a triangle or square. Hold this image in your mind for as long as possible. When it fades, bring it back. Repeat this several times a day until you can hold the image for long periods of time. After using these visualization techniques for a while, you’ll see a marked improvement in your law of attraction practice. You’ll visualize your dreams as if they were current scenarios. 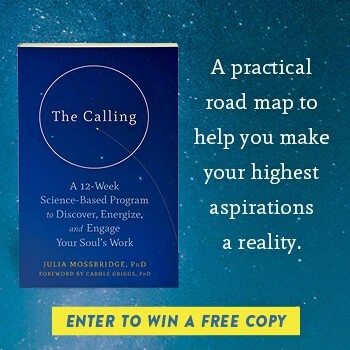 If you want to know more on this subject, check out this full guide on how to visualize for manifesting your ultimate goals. When you feel the gratitude that comes with your visions, your powerful creative forces are flowing! Petri Maatta is the founder of DreamMaker, whose mission is to help entrepreneurs succeed and grow, while keeping their business easy to manage. A Quick VISUALIZING Tip & A Very Common Error!